Living with diabetes without changing your life style or dietary habits is very difficult. 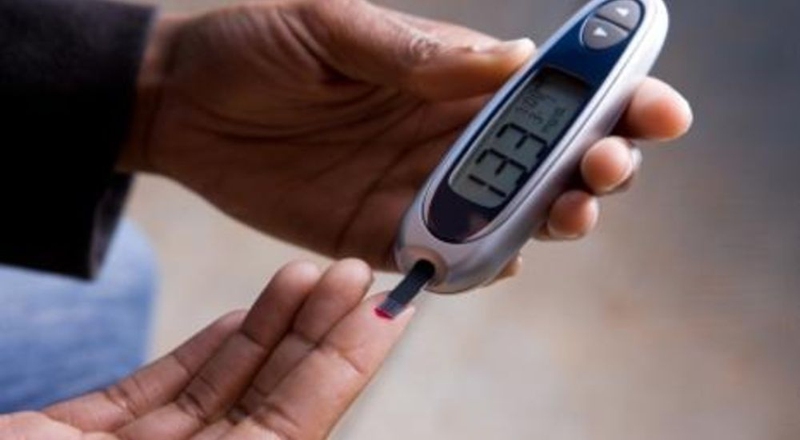 If you are still struggling with how to lower blood sugar level in the mornings or during the day, here is our selection of clinically approved and generally recommended methods to help you sustain a normal blood sugar rates without much compromising on things you were used to do before the diagnosis. It’s necessary to say, however, that before adopting any of these methods it’s necessary to consult your therapist to avoid unexpected results. If you find your blood sugar higher in the morning, taking special medications regularly may help. One of the most recognized types of medication is metformin that prevents glucose from overproduction and acts pretty fast for you to notice its effect. It’s also recommended for the early stages of diabetes treatment, and is effective for balancing your hormones. Consult your doctor for the exact measurements and frequency of taking the drug. To battle your blood glucose highs, losing weight or sticking to your regular, healthy weight can be one of the options. Usually, this method proves to be effective if started soon after the diagnosis. To achieve lower weight and therefore minimize your glucose fluctuations, it’s recommended to focus on low-carb food, cut on processed meals, eat more healthy snacks and exercise more. For those who have been diagnosed with diabetes for years, looking for other techniques on how to lower blood sugar may be more realistic. It doesn’t take much effort, but at the end of the day, it helps to fight your morning highs and brings the blood sugar level in order. Consider doing brief sessions of gymnastics in the mornings (about 10 minutes will do), walking more (that includes recreational walks with your friends) or using stairs instead of elevators as much as possible. Along the way, don’t forget to drink as much water as necessary to stay hydrated and follow the workout schedule that was approved by your doctor. Catching flu occasionally can dramatically affect your blood sugar level, as your organism will be battling the virus by releasing hormones and thus increasing blood sugar. To prevent this without losing track of your diabetes-related procedures, consult your doctor to work out a plan to fight the seasonal illness while retaining your diabetes treatment routine. The points to pay attention to include compatibility of the drugs you take and their frequency, as well as trying to stick to your recommended diet as much as possible without deviating from the schedule even if you have no appetite due to the illness. None of these methods would work alone. Trying to combine them for a better result may be a good option, for example, aligning your weight-losing practices with exercises and the line of diabetes medication you are prescribed to take. In any case, work out how to lower blood sugar together with your doctor and keep tracking the history of glucose rates to register and analyze any changes. Changing your dietary habits can be the key to lowering your blood sugar level and balancing off hormones. Below, we compiled a list of foods to include in your diet if you wonder how to lower your blood sugar and start making real actions. Fruits are known to be perfect carbohydrates that can influence your blood sugar level and prevent diabetes-related complications to your health. The recommended fruits include apples, oranges, lemons and other low-fat, high-fiber sorts. Just like apples, some vegetables contain quercetin that can help you prevent complications and sustain your health regardless of your diagnosis. Try tomatoes, onions, green leaves and experiment with this diet until your get visible results. This type of food is essential to prevent heart-related diseases which are known to be a major cause of death for people diagnosed with diabetes. As a source of omega-3, cold-water types of fish such as mackerel or salmon also deliver fats that are good for your heart and health in general. Again, for lowering the probability of heart diseases and lowering blood sugar levels nuts are indispensable. Don’t overeat them, though. A couple of tablespoons a day are enough to keep it up. Various beans, lentils, chickpeas, etc. serve as a perfect addition to your favorite vegetable meals likes stir fries or soups. Their advantage is that they increase your insulin sensitivity and facilitate glucose control so that you can manage your blood sugar level easier. It’s good news for steak lovers – the compound known as CLA that is part of beef fat has the capability to positively impact your blood sugar imbalance. It’s recommended to choose free-range meat as it contains higher level of CLA. Ordinary, apple or balsamic, vinegar works its magic on both diabetics and pre-diabetics to lower blood sugar level. To achieve this result, take two tablespoons of vinegar before each meal or season your favorite low-carb vegetable salad with it. It’s fantastic, but this easily affordable spice can lower your blood sugar too! Take half a teaspoon daily or sprinkle it over your drinks and fruits (for example, apples and cinnamon go wonderfully together) and you’ll quickly notice the result. If you suffer from sugar highs and want to know how to lower blood sugar, go for healthy options of fiber-rich food such as a combination of whole grain pasta, cereals, vegetables that we’ve mentioned, beans, rice and more. Eating about 30-50 grams of fiber-rich snacks a day can dramatically influence your blood sugar fluctuations and maintain your blood sugar at a normal level. Server responsed at: 04/26/2019 5:09 a.m.